a) Candidates should have passed SSC (10th class) or any other equivalent examination recognized by the Governments of Andhra Pradesh &Telangana State, and conducted in 2019. 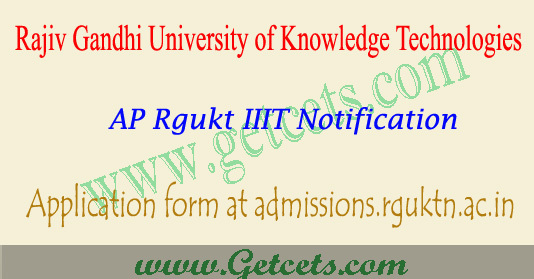 Candidates who met the AP Rgukt iiit admission eligibility criteria can start filling the AP Rgukt IIIT notification 2019 Application Form from ** April 2019, and the link will be active on its web portal admissions.rguktn.ac.in. 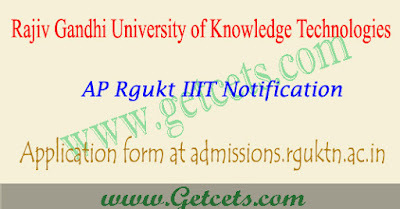 The last date to submit the AP Rgukt Online Application Form is ** May 2019.
d) An additional amount of Rs. 25.00 per application should be paid as service charges to the APOnline Centre. Only PH/CAP/NCC/Sports applicants have to post their applications along with the relevant certificates to the specified address in the detailed notification.